The cranes are part of the Whooping Crane Eastern Partnership effort to reintroduce whooping cranes into the eastern United States. 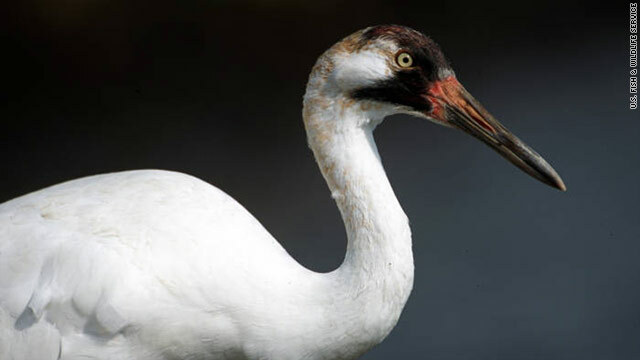 There are about 570 whooping cranes left in the world, 400 of which are in the wild, according to the wildlife service. About 100 cranes are in the eastern migratory population. The cranes that were killed were not among those famously led south by ultralight aircraft, but instead were part of the Direct Autumn Release program, in which cranes are encouraged to follow other migrating birds, such as sandhill cranes. In addition to the Endangered Species Act, whooping cranes are protected by state laws and the federal Migratory Bird Treaty Act. The wildlife service and Georgia Department of Natural Resources are investigating. Several organizations have contributed toward a $12,500 reward for information leading to an arrest and conviction. I am a female who lives in a trailer in the south and married a redneck. My redneck would drive and stop and move the trutle away from the road so it won't be hit by other cars. Why do u think people like trailer trash would shoot those cranes? I don't even have a rifle. So I guess rich people enjoy shooting up animals so they can brag about something. Why can't people just comment on the facts of the article and not turn these comments into a name-calling fest ? The birds were endangered and should not have been shot. The people who did it broke the law and should face some consequences. But remember they are people - I think saying they should be 'shot', 'gutted', 'killed', etc. is going a little far. Just keep things in perspective and try to be civil. OK – thanks for listening.